Marinate overnight, walk in the door from work and roast dinner in under thirty minutes, YES! 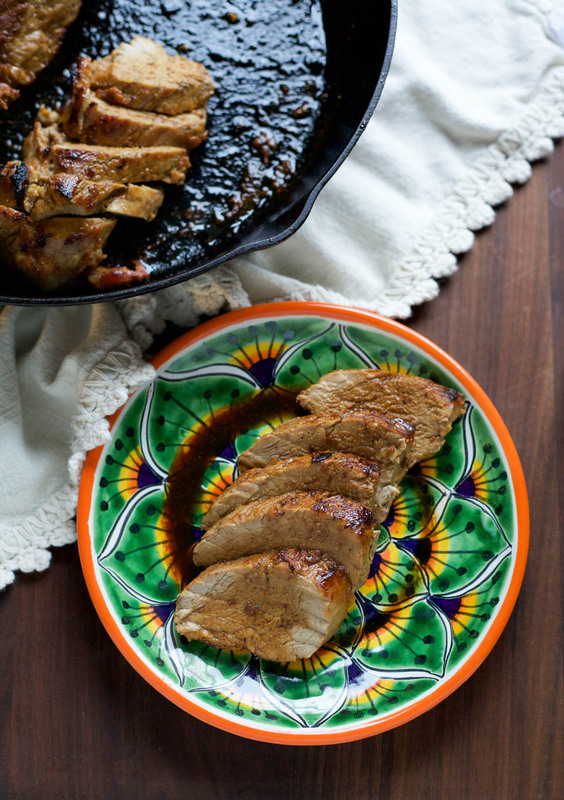 I’ve made this Chipotle Roasted Pork Tenderloin a couple of different ways, both super easy. One way is to get the pork marinating overnight for roasting the next day after work. The other is marinating the pork for about an hour and roasting the same day while you get other things done around the house, maybe do some yoga at home :). 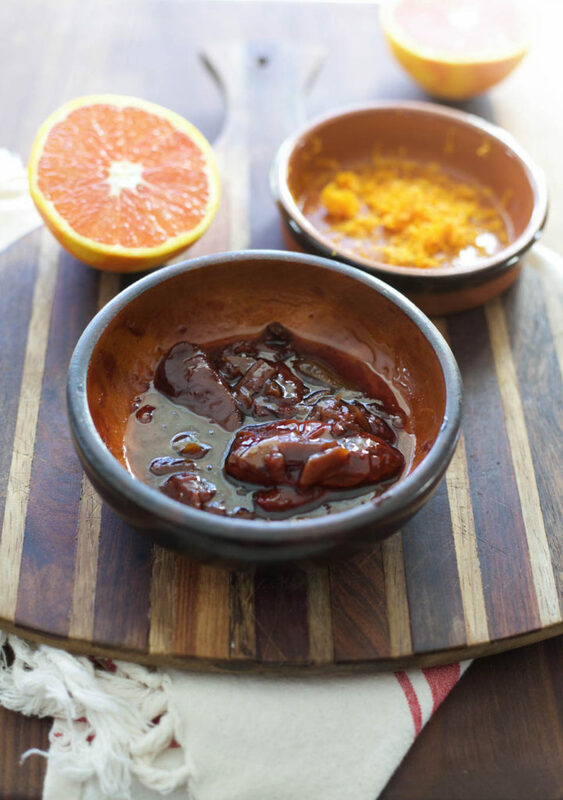 Either way this pork has so much flavor from the slightly spicy marinade of chipotles in adobo sauce, sweet orange juice and zest, plus a touch of honey to round out the flavors, making it sweet and spicy. I like pork tenderloin because if you cook it perfectly it’s super tender and it cooks up super fast. I roasted some cauliflower, made mashed potatoes for Brian and freekeh for me, making it a perfect dinner for both os us. 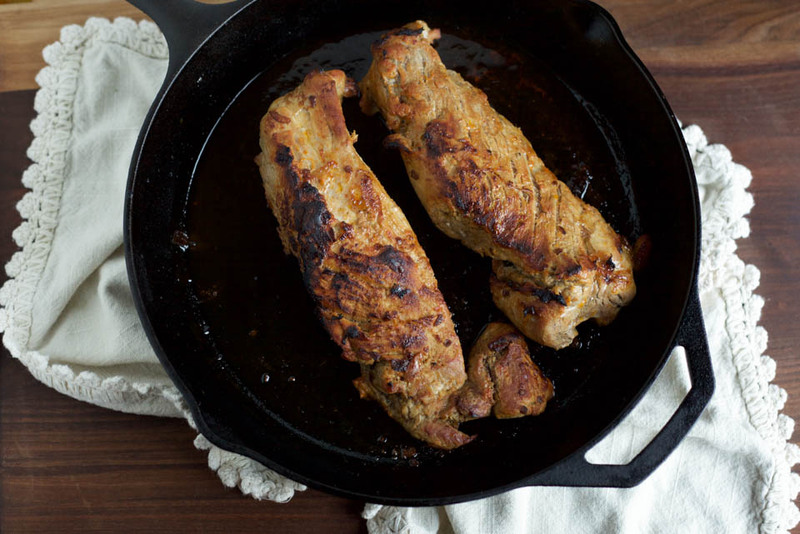 Recipe note: Often pork tenderloin come in packages with 2- 1 or 1 1/2 lb tenderloins in them. Simply double the ingredients to make the marinade enough for cooking both tenderloins. That will serve 4-6. Place pork, 2 tablespoons olive oil, honey, orange zest and juice, chipotle peppers, 1/2 teaspoon salt and pepper in a large ziplock bag or in a large bowl. Marinate for no less than 1 hour but up to 24 in the fridge overnight. Remove pork from the fridge and allow to sit on counter for 20 minutes. Place oven rack in top third of oven and preheat to 400 degrees. Place 1 tablespoon olive oil in a 12 inch cast iron or oven safe pan over medium high heat. Once oil is shimmering, add pork and sear on each side for 2-3 minutes. Place pan in oven and roast for about 20 minutes or until internal temperatures reads 145 degrees. Remove and place a foil tent over pork allowing to rest for 10 minutes. once meat has rested, slice and serve immediately. Store leftovers in fridge for up to 3 days. Oh my gosh, a roast in 30 minutes?!?! Amazing, I need to make this! One of my favorites, I love pork! These dish seems simple and delicious! I love the idea of a little heat! I love pork tenderloin and this looks like something my whole family would love! Awesome, thank you! Me too, it’s so quick and easy.